Anantara Phuket Villas, un resort de lujo de cinco estrellas en Tailandia, es un refugio exclusivo frente al mar en la encantadora isla tropical de Phuket. Enviar una solicitud de disponibilidad con las fechas que desee a Anantara Mai Khao Phuket Villas. 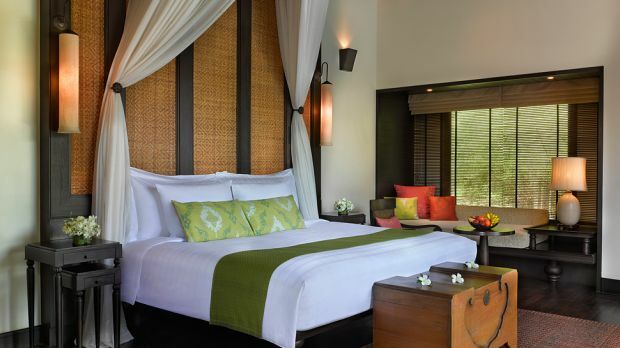 Pool Villas boast 180 square metres of luxurious seclusion. Share the ultimate island lifestyle with your family or friends, enjoying a private pool and an expansive sun deck with lush lagoon views. Pool Villas boast 186 square meters of luxurious seclusion. Share the ultimate island lifestyle with your family or friends, enjoying a private pool and an expansive sun deck with lush lagoon views.